There are an estimated 100,000 first generation Korean Americans with immediate family members in the Democratic People’s Republic of Korea (DPRK). These families have been left divided for over 50 years and many of them have already passed away, or are in their 70s, 80s, and 90s. Though American citizens, there are no formal mechanisms for family members to identify or even dream of reunion with their family in the DPRK. Sadly, many of us are not aware of this tragedy. 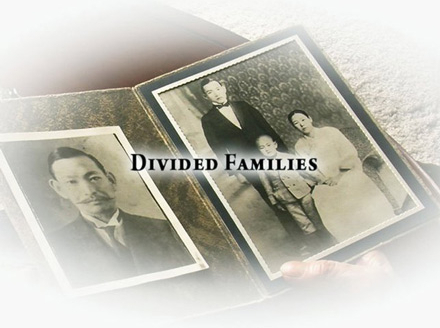 Divided Families is a documentary retracing story of one divided family member, Mrs. Chahee Lee Stanfield, a retired librarian in Chicago. For over thirty years she has lived the American dream, leaving a home ravaged by wars to forge her own destiny. She remembers the moment when she was separated from her father and her brother. It was the eve of the Pacific War and her family decided to go back home to Taegu, Korea after living in Manchuria. She left with her mother on a train to Taegu and her father and brother were supposed to meet them one week later but in that week, political lines were drawn. She didn’t know that her departure from that train station would be the last that she would ever see them and without having the chance to ever say goodbye, over half a century would pass. Many Korean Americans share her story and are waiting for that day when they would see their families. Because of this collective tragedy, ChaHee has organized a movement to fight for this generation’s right to see their family members before it’s too late. This is a journey of separation, immigration, and epic search for a father and a brother in a rush against time.